When you have been selected as the maid of honor for an upcoming wedding, you should be very proud of yourself. You have clearly proven yourself as a fantastic friend who is able to maintain a level head even in situations that are high stress and that may cause others to buckle under. The bride to be has entrusted you with being there for her when she is going through extremely trying times and it is up to you to make sure that she undergoes the least amount of stress possible. You should plan all sorts of activities and events to lessen the amount of stress that she goes through during the wedding planning process such as planning bar trips, spa dates, accompanying her on dress fittings, and so on and so forth. However, you also need to plan the great big event that is usually loaded with hype during the wedding planning process: the bachelorette party. The bachelorette party is easily one of the most important aspects of the whole wedding process. It's a time for the bride to be to really let her hair down and have an absolutely fantastic time before she becomes a married woman. It's a time for her to celebrate and let her hair down amidst the stressful times of planning a wedding. It is extremely important that you really go all out and plan a perfect bachelorette party so that the bride to be can really forget all of her stresses and troubles. 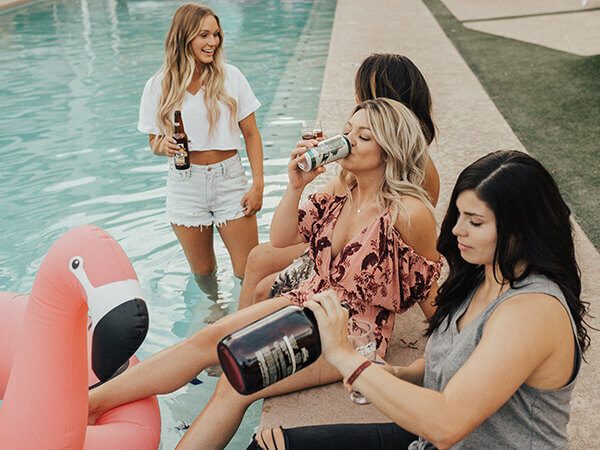 However, many people have never planned a bachelorette party before, so it can often be pretty difficult to figure out exactly how to plan the perfect party. Many people don't realize that the most important aspect to planning a perfect bachelorette party is by figuring out the best possible venues for the event. A great bachelorette party is all about pacing. You should have all sorts of different venues planned for the event such as bars, casinos, lounges, clubs, and so on and so forth, and you need to do research for each venue to figure out what order these venues will best be visited in. You should absolutely not relegate the party to being in the dining room of the bride to be's house. That is the most boring way to celebrate a bachelorette party. If you know anything about the San Diego area, you know that there are tons of fantastic places to go and get a party going. However, one of the most complicated things about planning an event with multiple venue, as you might already know, is figuring out the transportation for the event. Figuring out the transportation for an event with more than one venue can be tricky. It usually means that you have to pile everyone into a tiny sedan, and if you have more than four people invited, then you have to get more than one vehicle for everyone to pile into. This raises a multitude of problems. One of which being everyone has to worry about dealing with busy weekend traffic as well as dealing with busy parking. This can be such a pain in the neck, but it is nothing compared to figuring out who will be the designated driver. 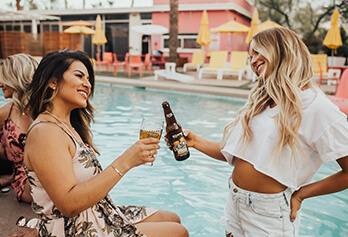 You will find that trying to find just one person to be the designated driver for the bachelorette party can be an extremely difficult task, and finding more than one can be much, much more difficult. This is because no one wants to attend a bachelorette party and not partake in all of the great festivities! The best way to get past all of these issues is by renting a luxury vehicle for the bachelorette party! We here are San Diego Limos have the best luxury vehicles in the whole San Diego region, and you will find that luxury vehicles and bachelorette parties are a match made in heaven. It's the best way to get past the issue of cramming into tiny vehicles, worrying about traffic, and needing to assign designated drivers. This way everyone gets to just relax and have the time of their lives! Plus your guests will be able to enjoy all of the amenities inherent in our vehicles such as luxurious and exotic interior lighting, premium concert quality speakers, flat screen television sets, and granite topped bar areas that can store and keep cool every drink that you might have. It's also worth mentioning that it is completely legal to drink alcohol on board of our luxury vehicles! This can really allow you to go all out with the party! Don't let your party that you put so much work into go to waste by bumming everyone out with sub par transportation -- get a luxury vehicle!